Founded in 1836 as a forge, Gebrüder Heinemann Maschinenfabriken AG was based in St. Georgen, in the Black Forest and grew to become a medium-sized industrial concern, surviving until the 1990s. From around 1850, two sons of the founder, Christoph Heinrich and Jakob Heinemann took control and developed the enterprise into a small machine-tool company with 60 employees and offices in both Chemnitz and Berlin. Until the 1880s, the Company made a wide variety of products including forged parts, small lathes, hand tools for the watchmaking trade and even individual watch and clock parts. 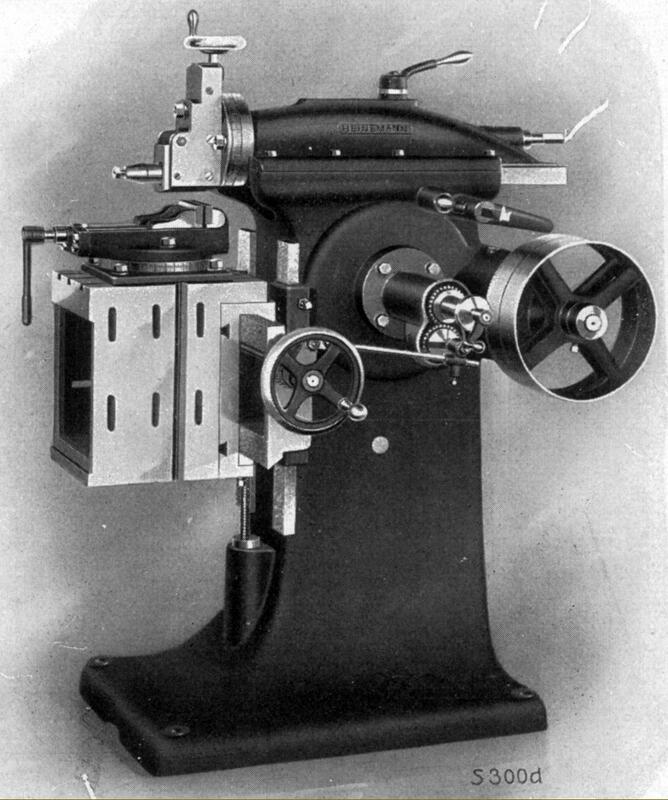 As trade flourished, a wider variety of heavier machine tools was introduced including milling machines, shapers, planers and various sizes of both simple and complex conventional, capstan, multi-tool and production lathes - as well a number of rather more specialised types including what was known as their "eccentric" model and others for use in the optical trade. After WW1, having lost a son in the conflict, the Heinemann family set up a foundation to educate promising engineers from poorer families at the Grand Ducal Baden Baugewerkeschule (later to become the Baden Higher Technical Institute) with the Foundation continuing until after the Second World War. After the latter conflict, with production machinery confiscated by the French, times were hard but, forced to start almost from scratch, the Company employed only the latest technology and, as a result, production was to boom during the 1950s. By the 1960s so great was the demand for labour that the then CEO, Hans Heinemann, even recruited workers from Spain in order to expand the Company further. By the 1970s a new market had opened in the former Soviet Union for whole production lines but this success was not to last and in 1979 the Company was declared bankrupt for the first time. In the early years of the 21st century the company buildings were demolished; the estate of the Heinemann family, as well as sections of the Company archives, are now owned by the Historical Society of St. Georgen. 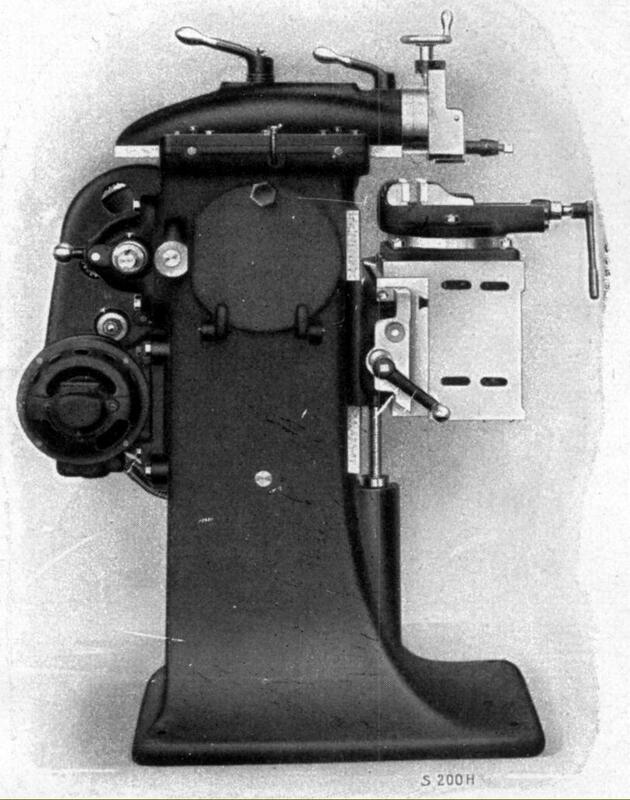 The shapers shown on this page were all current during the 1920s and, while not distinguished in any way, would have been amongst the first to offer the option of a proper built-on motor-drive system. Heinemann shapers are also found badged, amongst others, as Karger, (better known for their high-class lathes, and the English Company Selig Sonnenthal. 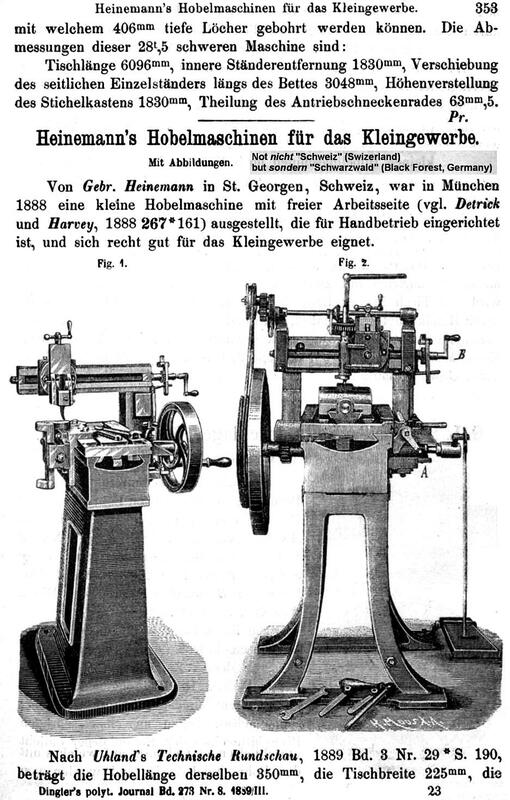 An extract from the 1889 edition of Dingler's Polytechnisches Journal showing two examples of Heinemann planers. 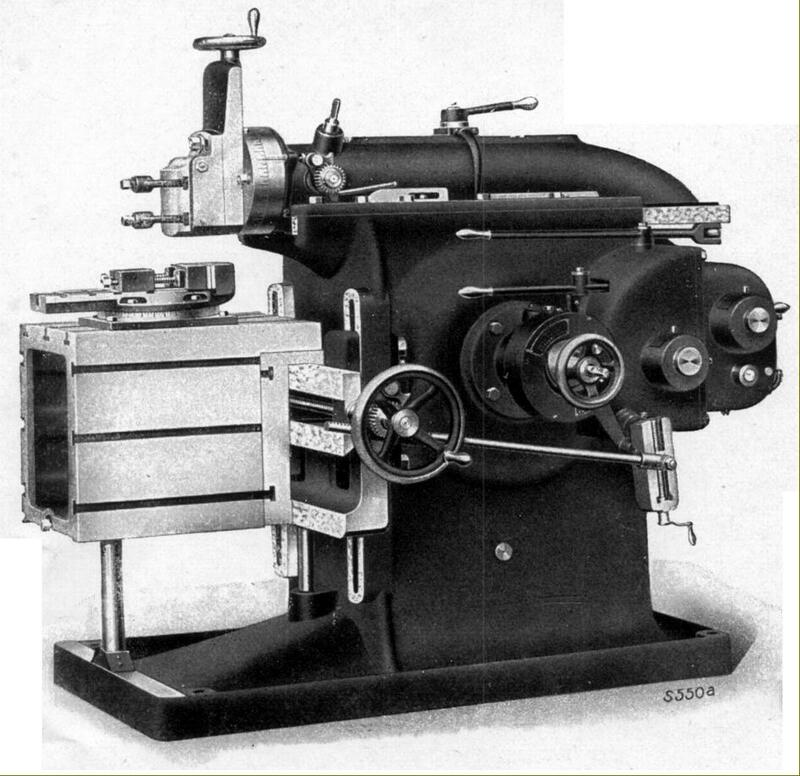 Heinemann S-200 shaper (Hochleistungs-Schnellhobler) arranged for drive by flat belt from a line shaft transmission system. 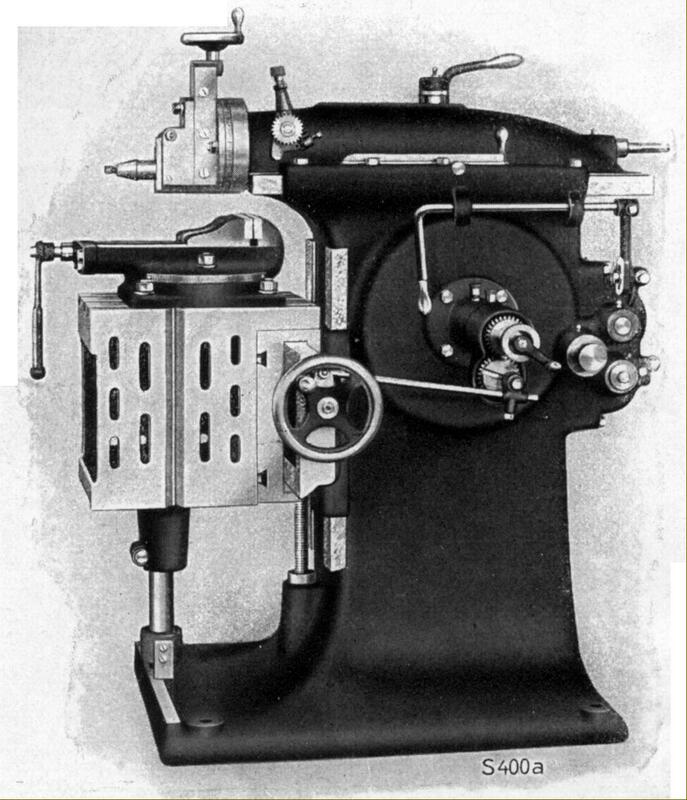 The pulley mounted on the shaper was split, one half being able to rotate freely, the other locked to its shaft; by this means a fast-and-loose belt striking mechanism could be incorporated that allowed the operator to start and stop the machine at will. Ram stroke was 200 mm ("), the both the table cross travel and the maximum depth that could be planed 300 mm (12"). 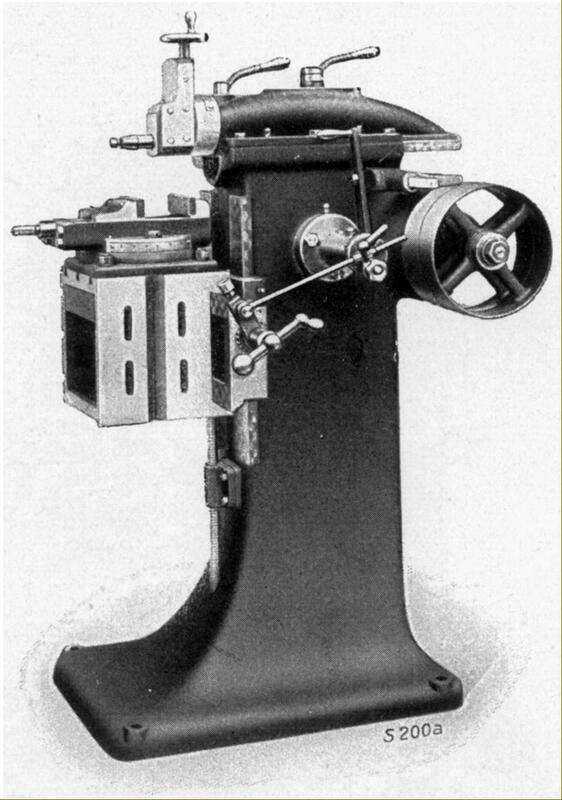 Heinemann S-200 shaper fitted with built-on motor drive Ram stroke was 200 mm (8"), the table cross travel 300 mm (12") and the maximum depth that could be planed 300 mm (12"). Heinemann S-300 shaper arranged for drive by flat belt from a line shaft transmission system. Ram stroke was 300 mm (12"), the table cross travel 450 mm (18") and the maximum depth that could be planed 300 mm (12"). Ram stroke was 300 mm (12"), the table cross travel 450 mm (18") and the maximum depth that could be planed 300 mm (12"). Heinemann S-400 shaper fitted with a built on motor. Ram stroke was 400 mm (16"), table cross travel 500 mm (20") and the maximum depth that could be planed 300 mm (12"). Heinemann S-400 shaper equipped for drive by overhead line shafting.. Ram stroke was 400 mm (16"), table cross travel 500 mm (20") and the maximum depth that could be planed 300 mm (12"). 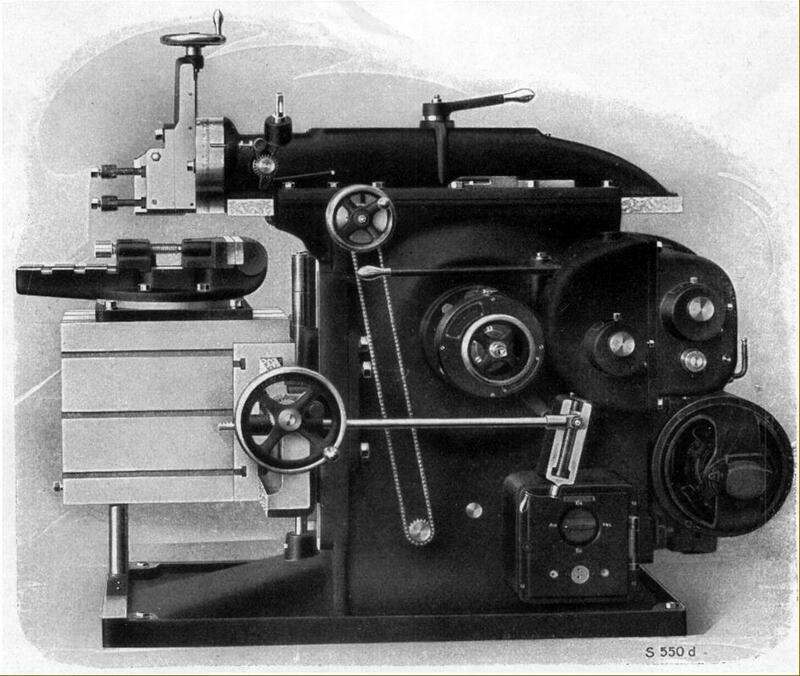 The largest Heinemann shaper of its era, the S-600 shaper could be fitted for drive by either flat belt from line shaft - as with the model shown - or with a built-on on motor. Ram stroke was 600 mm (24"), table cross travel 650 mm (26") and the maximum depth that could be planed 440 mm (17"). 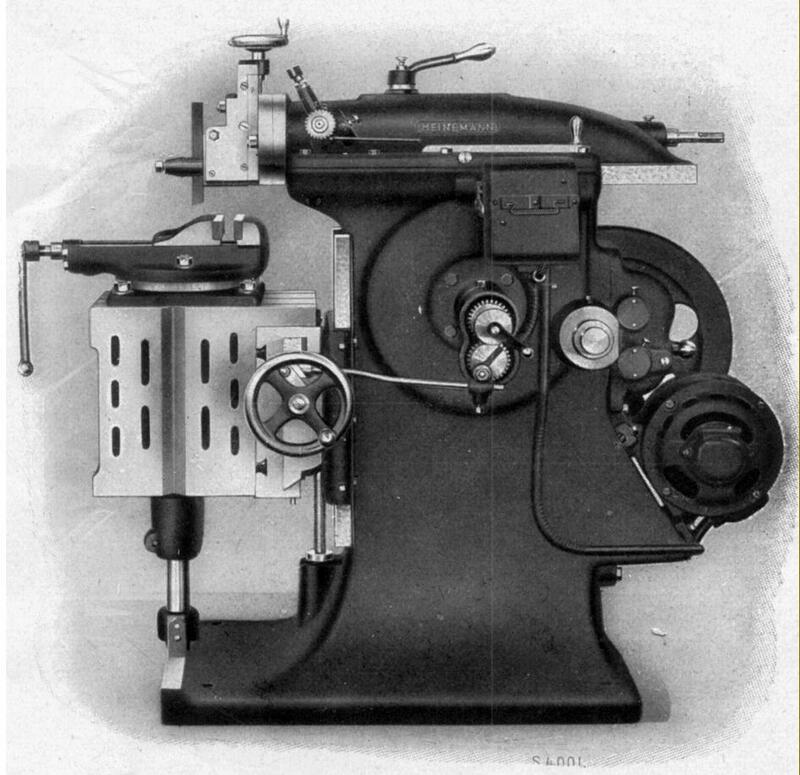 Heinemann S-600 shaper with a built-on on motor. Ram stroke was 600 mm (24"), table cross travel 650 mm (26") and the maximum depth that could be planed 440 mm (17").